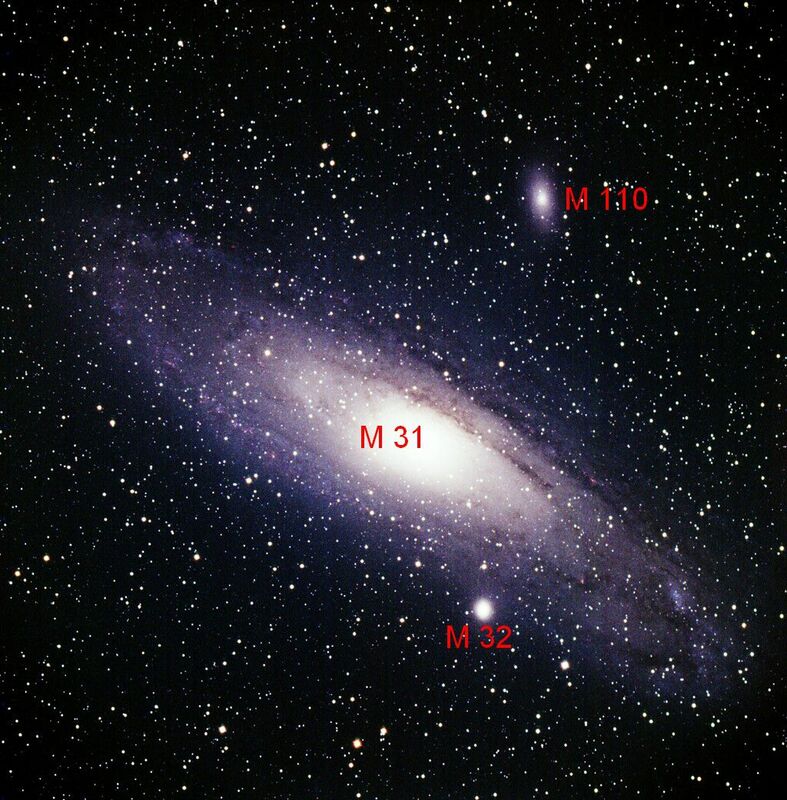 M32 looks like a round spot at the edge of M31's arms when observed through a telescope. The thirty-second object in the Messier catalogue is a bright elliptical galaxy in the constellation of Andromeda. Discovered in 1749 by Le Gentil, it is, with M110, one of two imposing Andromeda satellite galaxies. Although it appears to be entwined in M31's spiral arms, spectroscopic measurements have shown that M32 (NGC 221) is in front of its imposing neighbour, a little closer to us. The small galaxy has a magnitude of 8.1. It is mainly composed of old, low mass stars, with no globular clusters in its halo. It is highly likely that M32 was a much larger galaxy in the past and that its successive approaches to M31 tore away its globular clusters and peripheral stars.